Remodelled & expanded Gwyn's High Alpine restaurant with a new bar, wood burning stove & big screen TVs, plus satellite bar & coffee station downstairs. Completion of a 3 year glading project in Deep Temerity at Aspen Highlands creates fabulous new lines in the steep & wooded area "Lucky Find"
New downtown Aspen signature logo store is scheduled to open in Nov selling high-end leatherware, home goods, clothing & jewelry. Breckenridge - new Peak 7 restaurant called Pioneer Crossing, just steps from the Independence Super Chair. Vail - upgraded high-speed 4 passenger Sun up Express chairlift accessing Vail's back bowls, cutting average ride times in half. Beaver Creek - significant renovations to the guest rooms at Pines Lodge introducing a modern mountain luxury theme, whilst keeping the unique European charm of this ski in hotel & condos. Beaver Creek - introduces "The White Carpet Club" an exclusive, private retreat in Beaver Creek Village with elegant lounge, private lockers, boot dryers, ski valet & preferred self-parking, lift ticket & season pass assistance, coffee & pastries & 3pm private cookie chef. Daily, weekly & longer memberships are available offering the ultimate luxurious guest experience. Europe & Whistler are now EPIC! 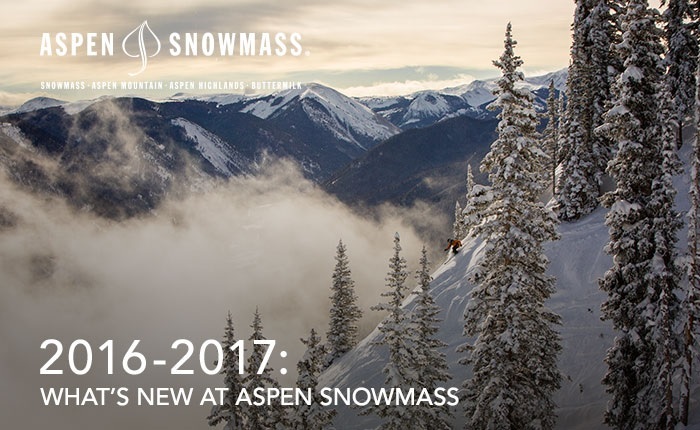 Vail's full Epic pass now includes ski days at 30 ski resorts in Europe across Austria, France, Italy & Switzerland for 2016 / 2017. Whistler Blackcomb in Canada North America's largest resort has 5 restricted days on the full epic pass & Epic Local Pass for 2016 /2017 & is due to be integrated into the Epic Pass for 17/18.